Over the last years computer processors have become very powerful, so powerful that most of the time they do nothing but waiting your hard drive to throw some data at them. Fortunately, disks have evolved, too and a new generation of super fast disks called Solid State Drives (SSDs) has appeared. With an SSD your computer will become noticeably faster and reliable and will consume less power. The problem is that SSDs are too expensive, so you will have to get one which is considerably smaller than a regular mechanical hard drive. Smaller drive means that rather sooner than later you will face the "not enough free space" problem. 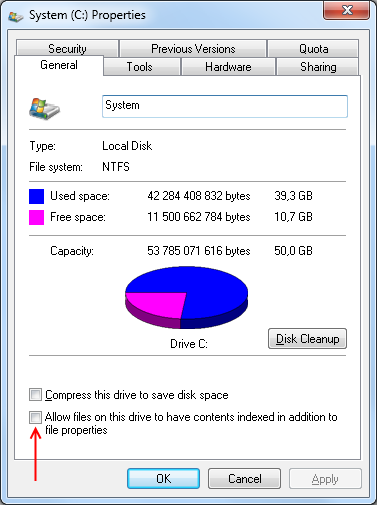 In this article I'm going to show you how to free up gigabytes of disk space on an SSD in Windows 7, but most of the tips also work for Windows 8 and Windows 10. Click the Start button and type "cmd"
The hibernate.sys file that is used by the hibernation process will be then deleted and you will gain disk space on your SSD equal to the size of your RAM. In the window that opens click the Settings button in the Performance group box and select the Advanced tab page. When ready click Set and then OK. 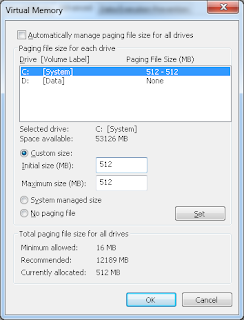 Upon restart, your computer will use a page file with the size you have set, not one with the size of your RAM, which will free up gigabytes of space on your SSD. It will analyze your system for a while and will show a list of items that can be safely deleted. 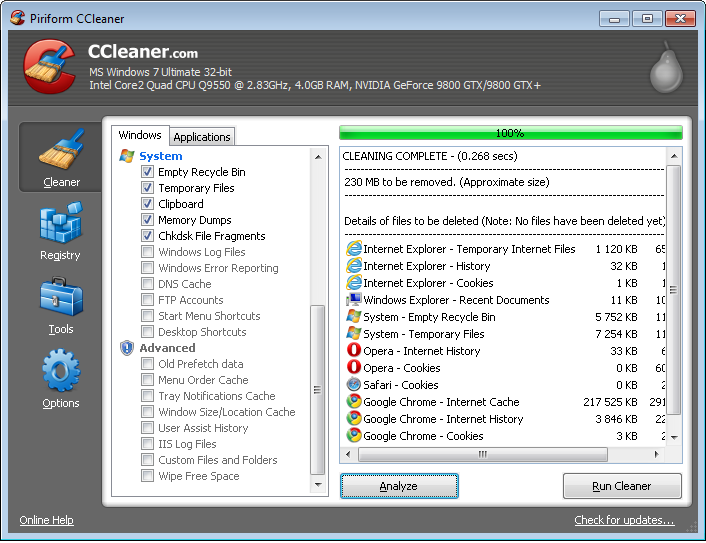 If you want to clean up some system files as well, such as left overs of old Windows updates, click Clean up system files and make sure you select "Windows Update Cleanup"
Best guide on freeing space I've seen. Very good guide, I gained about 15gb which I very much needed! Excellent suggestions on enhancing SSD performance. I have a Corsair LS Force 240 Gb SSD that came alive after I made the suggested tweaks to my system. These straight forward and UN-threatening adjustments woke up my SSD and enhanced performance considerably. Thankx'! I just bought a 64 GB SSD, installed Windows 7 Pro 64-bit and followed your steps, now I'm only using 25% of the total space, 16GB out of 64GB. Thank you so much for this info. Great! Enjoy your SSD ;) If you want to get the most of your SSD I recommend you keep about 20% of it free. Thank you for this remedy! For now, I have applied the steps 1, 2 and 3 only. Yet, I have gained some 60 GB. This should be fine for a while. My 'wish' is that why is it that these great solutions of yours not be the 'default' (made by both Microsoft and the SSD manufacturers). Today is a better day because of Mr. Vladov. The stuff you deleted is by no means useless, but getting an extra year out of your SSD is pretty much worth it. Thanks, I have a 250gb SSD but the amount of space the Windows installation is taking up is slowly increasing even though I don`t use it to install any programs etc..
Now I have a lot of that space back, thanks again!!! computer > (C:) > Users > (your name)>My Music > iTunes > iTunes Media. I downloaded 3 seasons of Top Gear and two albums and it took up a colossus 18.9GB. Also, Thanks for the help, I saved a good 10GB on my 120GB Samsung 840 SSD. thanks for the info...do you have any insight into how to keep additional space free when running Lightroom? Adobe must tuck temp files into areas I can't seem to find. Hi, congratulations for finding the location of the files. Unfortunately, currently I do not use any of the Adobe products, so I cannot help you much. All I can suggest is to dig in Lightroom's settings and check whether you can change the location of the temp files or limit the space they are allowed to use. If you don't find such settings, you can try posting in the Adobe forums. Good luck! thank you so much, i've freed almost 30GB on my 80gb SSD thank you so much!! my windows fresh install went from 70gb to 14gb following your tips... (probably due to my 32gb ram which means 64gb just for hibernation and page file). Thank you so much! Many thanks Pavlov. Got around 7GB back without disabling System Restore. If only all webpages were as clear and concise as yours! Well done! thanks Sir. This was really hepful. keep up the good work. By far the easiest, most satisfying and useful how-to I've used in years. Thank you so very much my HD score in Win 7 jumped from a 5.9 to 7.5! Thanks Pavel, finally got rid of that annoying popup about running out of disk space!! Me as well! Thank you so much for the clear directions and images! Saved my tiny 30gb SSD! Thank you very much Pavel. Those tips were outstanding and by far the best I have ever got in the internet! Thanks so much for these helpful tips. I am scared to disable System Restore but seen to have gained quite a bit of space on my new SSD. Thanks for taking the time to do this. Hi Pavel: Thank you for the very helpful advice. My SSD was down to 6 of 55.7 GB free and I was getting concerned. After completing steps 2 (freed 7+ GB) and 7 (freed 1 GB), I now have a comfortable amount of free space. Hi, do not worry, hibernation and sleep are two completely different technologies, so disabling hibernation won't affect the sleep mode functionality of your computer. Basically hibernation is a process that saves the full content of your computer's RAM to the hard drive and then completely turns your PC off and when you turn it on it loads the saved on the hard drive data back to RAM, while sleep (standby) mode simply puts your computer into low power state, but does not turn it off completely, so you do not loose the content of the RAM. Cleared up 30% without turning off system restore, great guide, crystal clear instructions, thanks Pavel! AWESOME!!!!! 60 GIG drive was down to about 5.5 available, up to 20 available now (still processing). 5 minutes of work. Absolutely outstanding, thanks mano. Hi, I doubt that one of these tips has caused the issues you are talking about. If done as instructed, they are all perfectly safe and I have successfully applied them to many PC-s without any problems. Anyways, regarding your questions, the default value for the page file is "System managed size" and File Content Indexing is set to true (checked) for the system drive. As far as I know Adobe products use a lot of memory, so if your computer does not have much RAM (e.g. 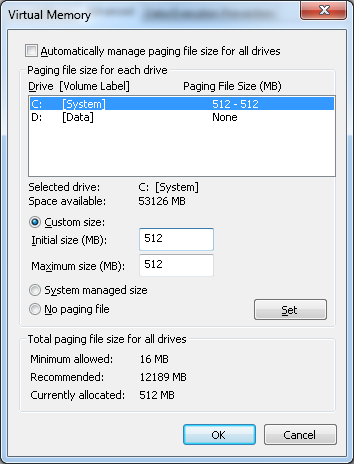 4GB or less), increase the size of the page file or set it to system managed size to see if this will solve the problem. Before reverting those settings, however, I recommend you backup your clips and project files and try to open them on another computer to see if they are ok. The issues you describe seem more like problems with the hard drive (for example appearance of bad sectors), so I strongly recommend you regularly backup your work and important files. Regular backups are recommended even for new and perfectly healthy disks. Mate thanks so much. I was at 35 Gb remaining, now I have close to 70 Gb remaining. All those pesky Autodesk files. This is definitely the best help on the web for this sort of issue.